New week, new thoughts! I feel like I really want to welcome our little baby A but I'm also not sure if I'm ready. This pregnancy has gone so fast, looking after a 1 year old. I've not had time to have a break, a nap or think much about how life will be with ANOTHER baby! We're mostly stressing about the fact that we will have to bed share with Skyler and the new baby and we're not sure how that's going to work out as Skyler doesn't want to be in his bed that's next to ours, he just wants to be in the middle of us. I'm obviously going to breastfeed baby A and as with all my other children that's been done whilst we're sleeping. I literally don't even get up. The baby is on my arm and I just pull my breast out, and how will that work with Skyler crawling and sleeping all over us? Having had 3 children I know that you do get into a routine, you figure it out, and I do have some sort of relief in that - but that doesn't mean it'll be easy in the beginning! This week, our baby weighs between 4 and 6 pounds and is about 43 cm long. She is still heads down, but not engaged. But that can happen at any point up until labour is established, especially if it's not your first pregnancy. 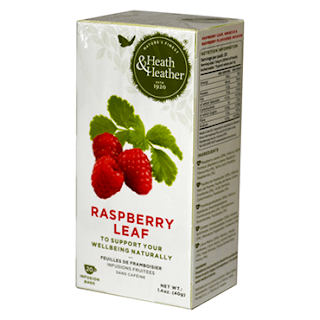 I've also been 'trying' to drink raspberry leaf tea since about 26 weeks. It's hideous though so it takes some motivation to get down. I did use it with my last two labours and I swear it works. My first labour (no tea) was 10 hours long, extremely painful and pushing stage took 3-4 hours. My second (with tea) took 8 hours but I didn't know I was in labour until the last 3 hours as my contractions only felt like Braxton hicks! Pushing stage? Well I needed to push in the car on the way to hospital which was 10 minutes away, so could have been very short. I managed to hold it in and Eden flew out in 2 pushes. Third time I was induced. They inserted some gel to my cervix and my contractions started immediately, but once again - they felt like Braxton hicks. 5 hours later they broke my waters and I needed to push 1 minute later! With trying to get midwives to understand I needed to push, them trying to make me walk, then finally being wheeled into a private room, in total Skyler was out in 40 minutes from start to finish. If it was the tea or simply the fact that I've had more labours and my body know what to do, I don't know. But going through a labour like first time... No, I rather have hope in the raspberry leaf tea and I will continue to drink it. I usually have one cup a day (or try, at least) from 26 weeks until 35-36 weeks, then 3 cups a day after that. I put the tea bag in boiling water, add cold water and some honey and I leave the bag in the cup so it gets stronger as I sip it. If you add milk it will curdle so it's best drunk without it. Have you tried it and did it help with your labours?